It’s been an exciting week for me. First, I was offered a job doing something I already love to do. Second, Elise from Simply Recipes twittered about me. ME! The little ol’ food blogger who occasionally uses t-shirts as table cloths for photos. (please pretend you never heard that. thank you.) Crazy! Insane! Simply Recipes is one of the first food blogs I ever found, and I’ve been a loyal reader ever since. How did I celebrate? By baking oatmeal cookies. 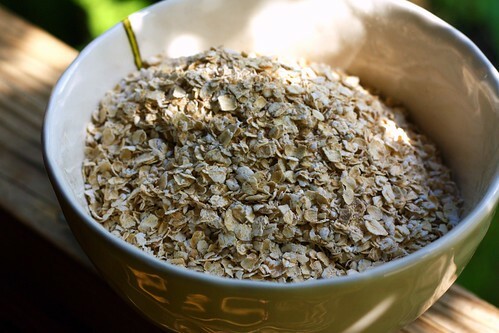 Oats are one of my favorite ingredients. I love them in just about everything. But before today, I had never made oatmeal cookies. I found this recipe a couple of weeks ago and it intrigued me. Whole wheat flour, honey, dark brown sugar and craisins? Sounded amazing. And they are. That hint of honey really brings it all together. I think I’ll add a little more next time. Honey + Oats is a match made in heaven. These are super easy to make so you have no excuse. Make them today! Preheat oven to 350 degrees F. Combine the two flours, baking powder, cinnamon, baking soda, salt, and nutmeg medium bowl. Using an electric mixer, beat butter, sugar, and brown sugar until fluffy. Then add in the honey, eggs, and vanilla. Remove from the mixer and stir in the flour mixture. Next stir in oats and craisins. Drop spoonfuls of the batter onto silpat- or parchment-lined cookie sheets. Flatten cookies slightly. Bake cookies until golden brown, about 10 minutes (mine took 15). Cool completely. Congrats on the mention from Elise! She's a great person. And mums the word on the t-shirt thing. 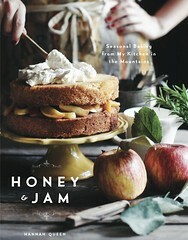 :) Great photos and recipe. 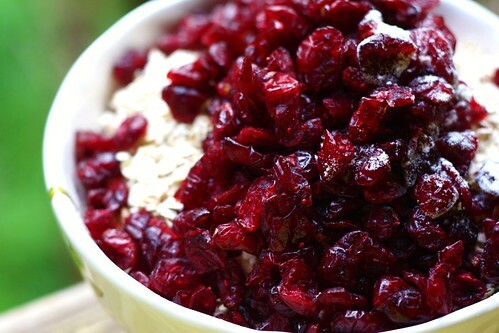 I love oatmeals craisin cookies! Mmm, those do look good.... I use dried apricots, cranberries and pecans in my chocolate chip cookies. They would be great in oatmeal too! Ditto on the congrats! Elise's site was the first foodie blog that I started to read on a regular basis. She, her family and all of her guest posters are awesome. In the meantime - you have a pretty good thing going here too. I'll be stopping back from time to time to read. Congrats. I found you via Elise on Twitter too. She was also one of the first food blog I found too. You really have a beautiful blog and your photography is gorgeous. Very impressive. I'll be bookmarking you girl! I also found you via Elise, which is really funny because I rarely follow the links that people tweet! We have five kids, all homeschooled, two graduated, and they all love to cook and bake in one form or another. 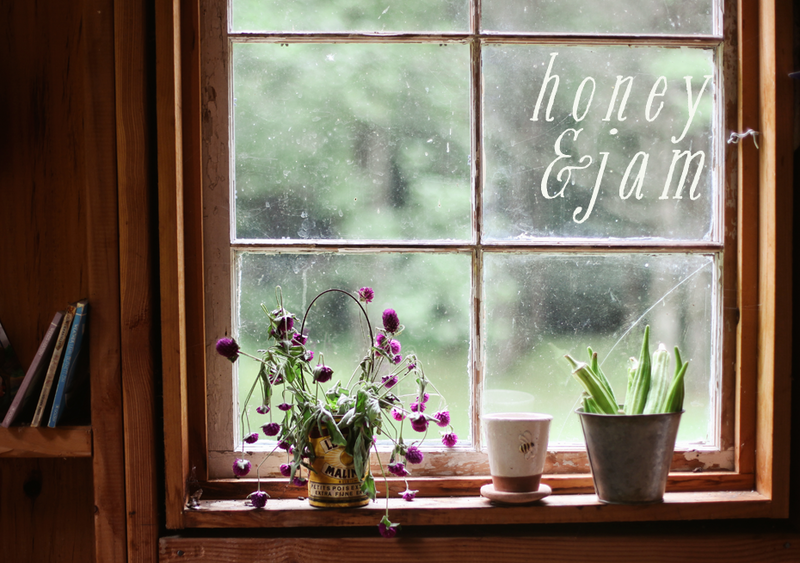 It's so fabulous to see a fellow homelearner, food-lover and photographer get kudos from one of the best! I look forward to following your blog as well as showing it to my kiddoes. Nice work, as always - the Twitter and your recipe du jour! Hannah, add me to your list of admirers (thanks to Elise, as well). Your blog is gorgeous. I'll definitely be a follower!!! Keep up the great work. Sounds YUMmmmmmy! Am going to try this soon. How may cookies does the recipe make? 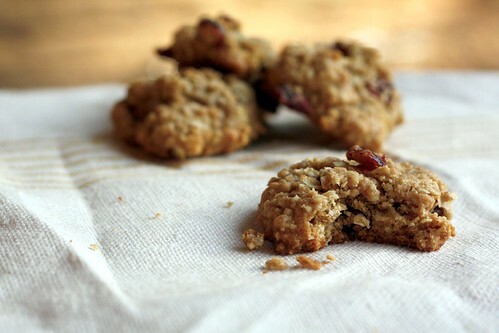 these look great hannah...as much as i love oatmeal cookies, i've never made them either. and congrats on all the exciting news! I just found your blog, also by following Elise's link. Wow, very impressive blog! Beautiful photos. And those cookies look delectable. I'll be back for more great recipes! Your cookies look delicious! I love this blog! It's very lovely. I'll be stopping by from now on! Congrats on the shout out! If I twittered, I would tweet about you too! These look fab. Congrats on the job! Awesome about the mention! Not surprised though you're a great blogger! I totally didn't hear anything I shouldn't. Thanks for the tip though. Craisins sound MUCH better than raisins. Raisins, EW! Congrats about the job offer! The oatmeal cookies look perfect! I discovered your blog via Elise's tweet as well, and immediately followed you :) Gorgeous photography! oh my, you've whetted my appetite with these photos. I really love using oats too, but I need to find more recipes that use them! I came across your blog a couple weeks ago and can't stop reading it! I've added you to my favorite blogs list on my new site! Hope you come and check it out. 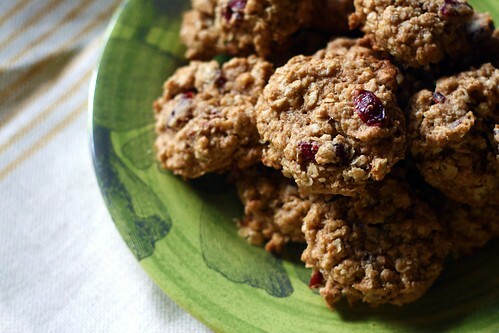 I love the cranberries in these cookies. They look so delicious! Thanks again for participating in the Monthly Mouthful! I thoroughly enjoyed reading about your first pasta dish! where's the butter inthe ingredients list?? ?